Ghosteye Pictures presents a new Jesika von Rabbit video, “Going Down” which was shot, cut, and directed by Giuseppe Asaro. The video was filmed live at Harvard and Stone in Hollywood on July 14, 2016. “Going Down” is the latest collaboration between Ms von Rabbit and Italian director Mr. Asaro. The two have worked together on and off for a decade, with Asaro directing the videos for Gram Rabbit’s “Final Clap Fever”, “Shiny Monster”, “Candy Flip”, “Lost in Place”, “Wheels in Motion” just to name a few. Many songs by Gram Rabbit can also be found on the soundtrack of Giuseppe Asaro’s latest feature film Thrill Kill. 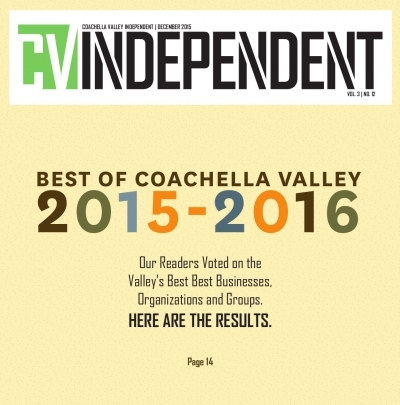 In the recent Coachella Valley Independent Best Of Readers Poll, Jesika von Rabbit has once again won Best Musician of the Coachella Valley, decided by CV Independent readers. 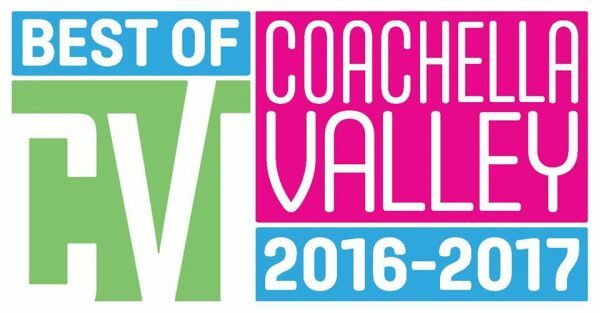 Congratulations to Jesika von Rabbit on winning “best local musician in the Coachella Valley” (organically, without even hyping her fans to vote for her)! Tonga Hut Palm Springs kicks off the season with a special Shag Menu Signing Event! 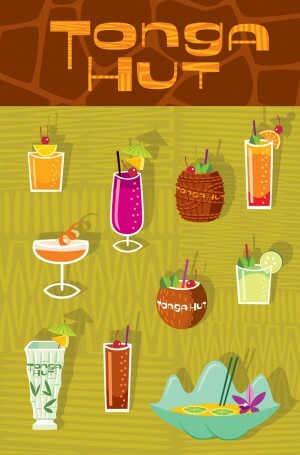 Shag will be in the house signing his newly designed Tonga Hut drink menus. There will a limited amount available. Get there early; first come first served! DJ Lee will be spinning a selection of exotica and mid-century sounds from vintage vinyl! Tonga Hut brings to Palm Springs a classic American mid-century Polynesian themed restaurant / bar in a tiki-modern setting, with full appetizer, dinner and cocktail menus. Tonga Hut Palm Springs is the offspring of the Tonga Hut North Hollywood, Opening its’ doors in 1958 during the heyday of tiki culture in Southern California, Tonga Hut is the oldest surviving tiki bar in Los Angeles. Tonga Hut Palm Springs has been lovingly decorated by artist Tiki Diablo and Chase Marshall (Beauty Bar in L.A. and Cobra Lounge in NYC) with vintage items as well as contemporary contributions from many artists in the tiki community including Leroy Schmaltz from Oceanic Arts, Eric October, Bosko, Kirby, Nelson’s Tiki Hut and “Mad Dog” Mike Gilbert. Tonga Hut’s menu offers classic Polynesian/Cantonese/American dishes, like you might have found at Don the Beachcomber on old Palm Canyon Drive in the Rat Pack era. The cocktail menu contains more than 40 drinks including classic cocktails, classic tiki drinks as well as numerous original drinks including some that are exclusive to the Palm Springs location. DJ Lee Joseph heads up the “independent underground” label Dionysus Records, which has specialized in the retro sounds of surf, exotica, garage rock, rockabilly and psychedelia since the mid ‘80s, and has a weekly show called “Over Under Sideways Down” on the mid-century centric LuxuriaMusic.com internet radio station. He has held numerous club residences in Los Angeles, and DJs at the yearly Tiki Oasis event in San Diego. 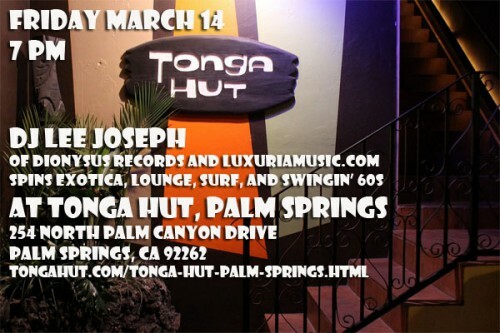 “DJ Lee” brings to Tonga Hut Palm Springs a deep knowledge and collection of era appropriate music from lounge and exotica to French Ye Ye, surf to soul and other “swinging” sounds from the 1950s -1970s, on vinyl of course!